I left home for a few days to visit family in Dallas and when I came back, I was wondering how much damage I did eating out ... eating birthday cake ... eating chocolate mint Kit Kats and other goodies that my brother brought from Japan! ... And when I stepped on the scale, it was like a fairy godmother had touched it with her wand!!! I normally weigh close to 150, but the scale said 110!!! Of course, there are no fairy godmothers (as much as I wish they existed. Especially the bathroom scale kind.) This can only mean one thing. My bathroom scale broke. 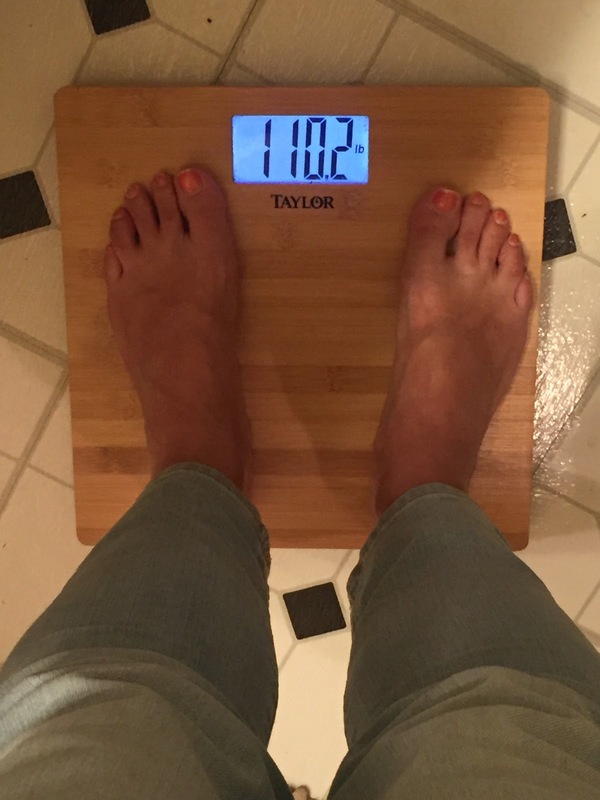 I've spent the last few days sort of joking that I wish the scale was true! And tonight, when I joked about that after dinner (which happened to include chips and queso), my 10 year old son heard me and had a very curious reply. "Mom, that should be the title of your next book. "I Wish the Scale Was True." And the book should be about how you stepped on the scale and you really liked the number, but you were sad that it was only because the scale was broken. But then, you work really hard to make that number come true." I can actually work to make the number I wish I saw on the scale come true! Wait, can we actually make our dreams come true without fairy godmothers??? For years I have read many books, blogs, articles and emails; seen TV shows and infomercials, heard radio shows and podcasts that all say YES! Yes, you can make your weight-loss dreams come true. You just have to CHANGE. Dang it. I was still hoping one of those books or TV shows would have a fairy godmother that I could wish for and she'd appear. But here's the thing: I WANT to lose weight. I really, really, really WANT to. But I don't want to change. I don't want to have to meal plan and buy groceries and cook. (GASP!) I admitted it. But then, I'm not 100% sure why, other than "bad habits die hard," but I go back to the Starbucks drive-thru the next morning, have Chick-fil-A for lunch and get a Chili's email coupon that's such a great deal it convinces me to go out for dinner. I'm a super Dave Ramsey fan and I've heard his money advice enough times to know that, not only is eating out all the time bad for my health, it's also bad for my budget. So CHANGE is a no-brainer, right? DUH! Why am I not CHANGING overnight to a healthy-eating, meal-planning, money-saving person? Because there are no fairy godmothers. I can't wish myself into a new person. But I can dream. And if "a dream is a wish the heart makes" (yes, I'm a Disney girl!) And "the dreams that you wish will come true," ... then I'm going to keep dreaming about that magical number on the scale actually being the reality when I wake up and not just a dream. And as I dance between dreamland and reality, I'll keep reading those books and blogs (like 100 Days of Real Food), watching those TV shows (like NBC's Biggest Loser) and listening to those podcasts (like Jillian Michaels and Dave Ramsey) that, in true fairy godmother form, remind me every day of my dream ... and give me the little sprinkles of pixie dust that inspire me to live out my dream. Dreaming ... and excited about what I'll see on the scale when I wake up.